Apple has updated the bare-bones antivirus protection included with Mac OS X to detect a Trojan horse that poses as a PDF document. That Trojan, named "Revir.A" by Finnish security company F-Secure but "Revir.B" by others, masquerades as a PDF file . Unwary users who download and open the fake PDF actually start a malware chain reaction that infects a Mac with multiple pieces of attack code, including a "backdoor" designed to listen to a hacker-controlled server for further instructions. 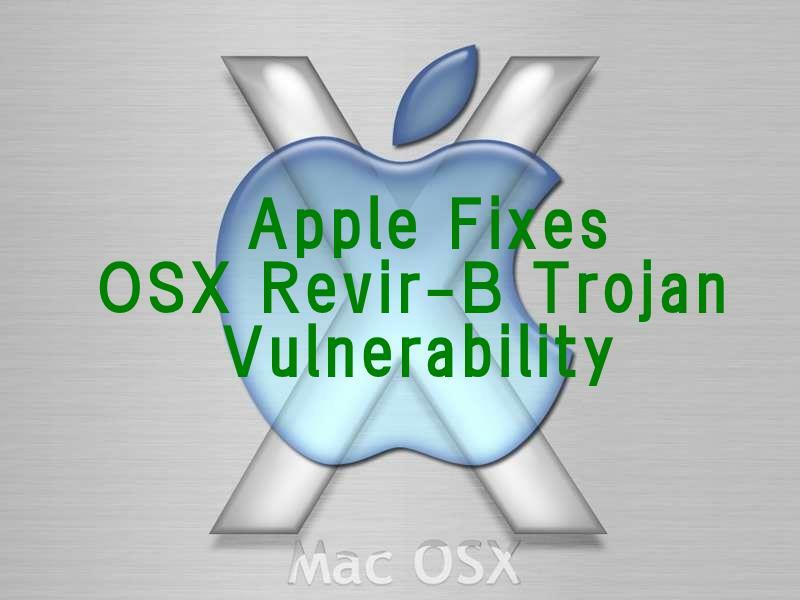 Apple added a signature for Revir on Friday to the detection engine called XProtect included with Mac OS X 10.6, aka Snow Leopard, and Mac OS X 10.7, better known as Lion. Since May, when Apple fought a weeks-long battle with makers of phony Mac security software -- usually called "scareware" or "rogueware" -- XProtect checks daily for new signature updates. The new signature will detect Revir if a user downloads the fake PDF document using Safari, iChat or Mail -- Mac OS X's native email client -- and then displays a warning urging the user to toss the file into the Trash. On Monday, however, Mac-centric security company Intego said it had spotted a new piece of Mac malware disguised as an Adobe Flash installer. Tagged "Flashback" by Intego, the Trojan installs itself when the fake Flash file is run, then deactivates the Mac outbound firewall Little Snitch , likely as an attempt to hide communication between the malware and its remote command-and-control server. Flashback uses the same phony Flash distribution tactic as a Trojan horse named "QHost.WB" found by F-Secure in early August. Apple updated XProtect to detect QHost on Aug. Intego speculated that hackers may think the Flash installer trick will be effective because Lion, unlike earlier Mac OS X editions, does not come with the Adobe software pre-installed. The French antivirus firm recommended that users download Flash Player only from Adobe's website, and if they're using Safari, to uncheck the box marked "Open 'safe' files after downloading" under the General tab to prevent fake installers like Flashback from running automatically.